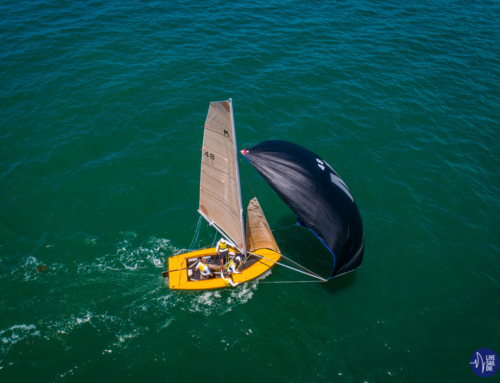 The 2018/2019 Sailing Season definitely snuck up on the M-Class fleet with racing starting much earlier than in past seasons. 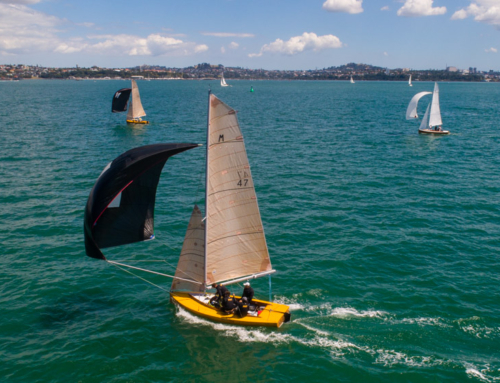 Five boats made it to the ramp at Orakei, however only three managed to make the start line, after Monsoon decided that more work was needed before hitting the water, and current Arch Logan Memorial Race winners Marksman having issues with their centreboard. Menace, Mach One and Matara all made the start line in a light northerly. 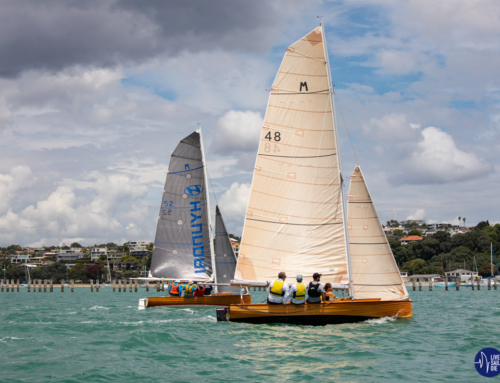 Two harbour courses were on the schedule with Race 1 being the most important of the day, the race for the Ffemmy where the Emmies and the Flying 15’s race for season supremacy. Course 2 was set starting at Orakei, to North Head, Bean Rock, Orakei, North Head to finish back at Orakei. Conditions were light with just 7 knots pushing the three boats across the start line. Menace took and early lead at the first mark rounding followed by Matara and Mach One. Menace had extended their lead by Bean Rock, however a tactical decision to sail beyond the mark didn’t pay, with Matara and Mach One taking the upper hand. Menace fought back to take over Mach One, however Matara managed to hold onto the lead taking Race 1 of the day. The Emmy fleet finished 1, 2, 3 for the race for the Ffemmy, meaning the M-Class are now the first starters off the blocks each race this season. Race 2 saw the breeze slightly fill for the start of the race with Menace once again taking an early jump and leading Matara and Mach One round the top mark at North Head. Although Matara managed to roll underneath Menace, who had two Flying 15’s to contend with coming into the Bean Rock mark. By this stage the breeze began to fade, and as the fleet approached the bottom mark at Orakei, the race committee signalled a shortened course with the race finishing between their boat and the mark. Marksman is now dealing with repairs but are certain to be on the start line for the next race day on the 14th October. Monsoon also plans on racing with the rumour mill swirling that more boats are heading to the ramp. After Matara, Menace and Mach One had a gear upgrade, there are now second hand spars and sails available for purchase for any boats who need more kit to get them racing. Boats are also in need of crew, so if you’re keen to become an Emmy sailors, them get in touch with the fleet who can introduce you to skippers.